Whether you are looking for a lighting fixture to grace your foyer, set the tone in your dining room, or add character to another room in your house, chandeliers are the classic choice for making a big impression. 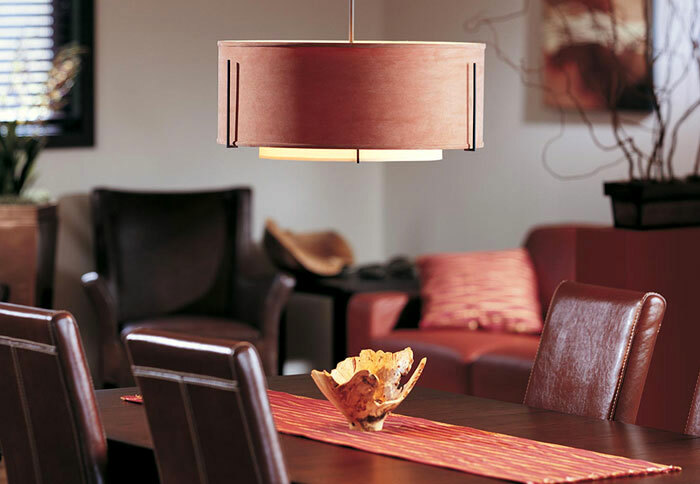 Today's modern, contemporary, and transitional styles offer an ever expanding array of fixture designs. In addition to style and materials, there are a variety of other factors to consider when selecting your ideal chandelier, including size, light output, type of light source, dimming options, and more. 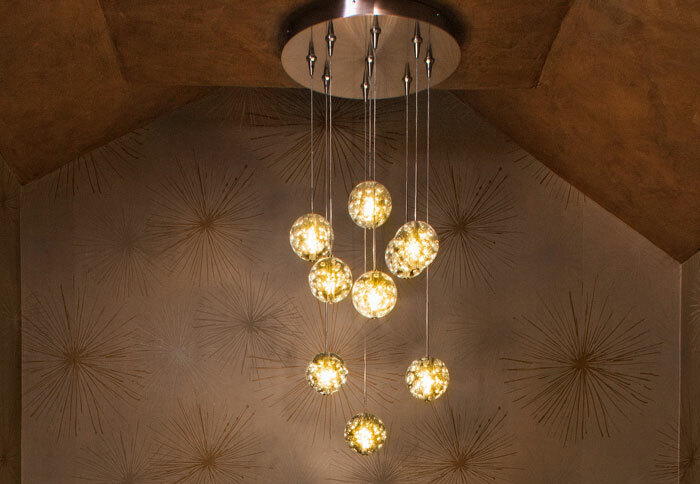 Aside from style, the three main factors to selecting a chandelier are: size/scale, direction of light output (glare versus glitter), and control (dimming). Having something too big or too small can result in a disproportioned look in your space. A 30" tall chandelier hanging in the middle of the room with 8' ceilings will feel extremely low in the space and look strange. If you buy something too small, the piece may seem dwarfed by the room. 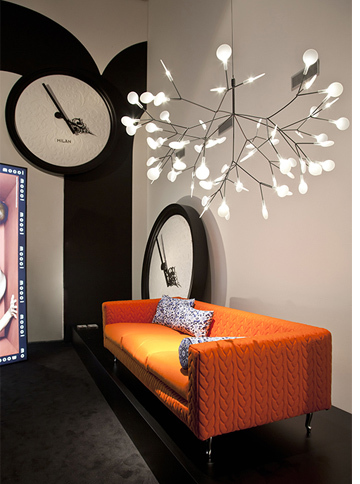 When in doubt, it is better to err on the larger size, since chandeliers are statement pieces. Use the following "rule of thumb" method to size your chandelier to be the focal point of a room (wherever it is not installed above a table or counter). The sum of those two numbers should be the diameter of your chandelier in inches. This is just a guide, but it does provide a place to start. 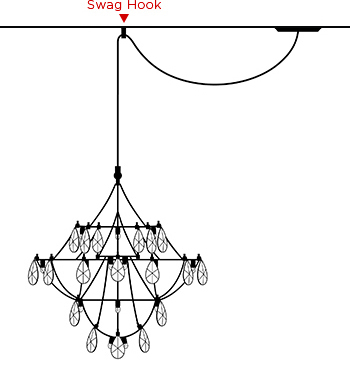 Try our Chandelier Sizing Tool to easily find the right sized chandelier for your space. You also want to make sure that the light coming out of the fixture isn't glary. There is nothing worse than sitting at a dining room table with the glare of a bright bulb coming at your face. What direction is the light going? Are the bulbs concealed or exposed? If the bulbs are exposed, you should consider adding a dimmer to your chandelier to control the light output. If I am looking for a modern or contemporary look, what lighting trends should I be focusing on? For a more modern look and design, focus on satin nickel or chrome finishes. Bronze finishes are more commonly found in transitional fixtures, which combine design elements from both traditional and contemporary styles. Modern designs trend towards chrome and satin nickel. Also look for clean lines, with a minimal amount of ornate decoration. Keep in mind that your chandelier's finish and materials should also complement other finishes in your space. Chandeliers are sized by diameter and height. The number of bulbs may also impact size. I recommend a chandelier's diameter to be 1/2 to 2/3 the width of your dining table. Today's average dining room chandelier is a four to six light, 26-30" diameter fixture. Take ceiling height and chandelier height into consideration before buying, too. 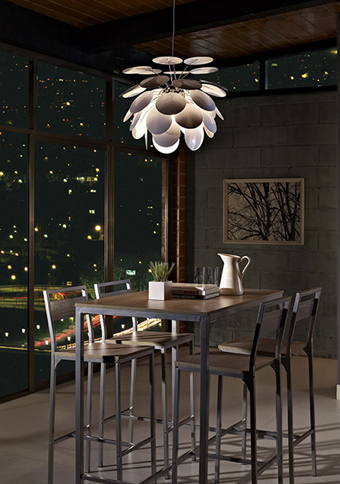 The chandelier should hang about 30"- 36" from the top of your table to the bottom of the fixture itself. A chandelier that is too tall might end up sitting almost on top of your table! However, if you have tall ceilings a two- or three-tiered design could work great. 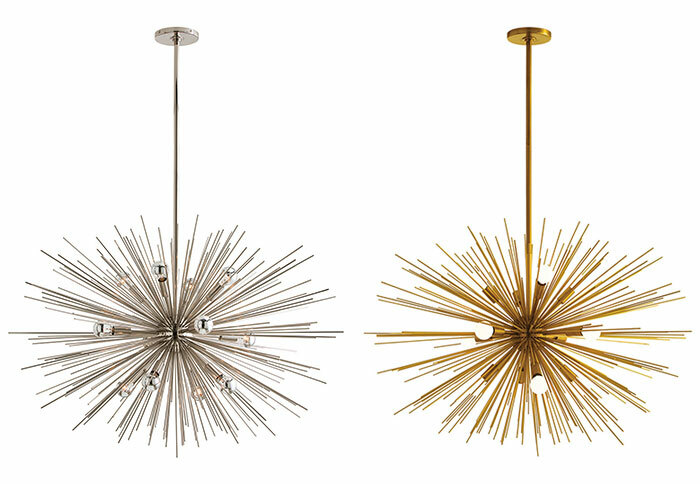 I love the Tilda by Arteriors Home. Try our Chandelier Size Guide to configure your ideal chandelier size based on the size of your dining table and the height of the ceiling. There are options for both square and round tables to size a dining room chandelier. Chandeliers are decorative fixtures, meant to impart style and ambiance, so do not expect your chandelier to be a room's primary light source. This is one of the biggest mistakes you can make with a chandelier. Placing a single fixture in the center of a room and expecting it to entirely light that room is a recipe for bad lighting. This is compounded if the chandelier's bulbs are exposed, something common to many chandeliers. Chandeliers work best as a supplementary light source and even better when incorporated into a layered lighting scheme. For example, incorporating recessed cans, cove lighting, or wall sconces in a room are great ways to accent the space, highlight walls, paintings, plants, countertops, and cabinets. Are there chandeliers that use modern technology like LED? Absolutely. Contemporary lighting designers and manufacturers are coming out with incredible new LED chandeliers every day. LED technology has improved so much that often you cannot tell the difference between an LED fixture and traditional incandescent one. Even better - some lighting designers now prefer designing with LEDs, simply because they allow for some really unique design opportunities! LEDs are so small that designers don't have to worry about concealing the light source. This means there is a lot more freedom to experiment with form, function, and material. In addition to design flexibility, other advantages of LED lighting include increased efficiency and reliability, which translates into significant energy and cost savings. LEDs run five times cooler than halogen bulbs while expending 1/5 the energy. LEDs also outlast other light sources, with a projected lifespan of about 50,000 hours— that's 25 years of use at 5 ½ hours a day. 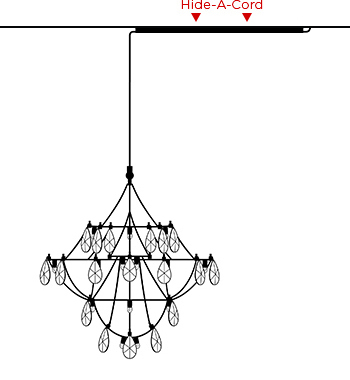 Below are some links to options of LED chandeliers that could work in many different spaces! If I buy an LED chandelier will I be able to dim it down to create a romantic atmosphere? Many LED chandeliers are fully dimmable when paired with a compatible low voltage dimmer, but not every LED chandelier is dimmable, so this is something you want to ask before buying. Check the specifications of each individual fixture, and then refer to the manufacturer's recommendations for compatible dimmers. Not all dimmers work with all fixtures. Can I upgrade my existing chandelier to LED or CFL (compact fluorescent) without replacing the fixture? 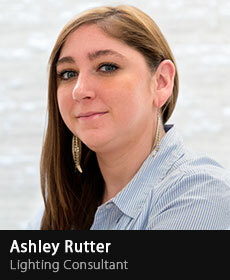 Upgrading your chandelier to use LED or CFL is called retrofitting, and it is often, but not always, possible. It depends on the fixture. There are many LED and CFL retrofit bulbs available in a variety of shapes and bases that you can buy to retrofit, but you need to keep dimming in mind. If your chandelier is wired to a dimmer, you will probably need to buy a new dimmer that is compatible with your CFL or LED bulbs. Remember that a dimmer dims the bulbs, not the fixture. The Plumen is a really fun, decorative CFL that works well in fixtures where the bulb is visible, but the downside is that it is not dimmable. For a dimmable CFL, I like this Bulbrite bulb, but I would only recommend it if the bulb is not exposed in the fixture. Keep in mind that if your chandelier bulbs are exposed, there are LEDs and CFL bulbs that may work but also may look horrible. If you want to retrofit with a CFL or LED, buy just one bulb to see if you like it. Then replace the rest if you do. Of course! Chandeliers are commonly found in foyers and formal entryways, kitchens, living rooms, bedrooms, and even bathrooms or powder rooms. Again, choosing where to install a chandelier depends on the size of the room, ceiling height, size of the fixture, and the surrounding décor. They can go anywhere! Can I hang a chandelier over a dining table even if the electrical box is not centered over the table? Yes. One of two solutions usually works. If you have drywall ceilings, an electrician can move the junction box to center over the table. This is not a simple process, as it also requires plastering over the old hole in your ceiling. If you have concrete ceilings, the chandelier can swag over the center of the table. This means centering a hook over the table to suspend cords from the junction box to the swag hook. You could also use a hide-a-cord on the ceiling to conceal the appearance of the cord. At what height should I hang my chandelier? In a dining room, the goal is to suspend it low enough so that you don't catch glare from the light source but high enough so that it does not obstruct your vision. A good rule of thumb is to hang the chandelier so the bottom of the fixture is 30 - 36 inches from the top of the table. Adjust this height to suit your personal preferences or the demands of your room. Sometimes it's good to have something unexpected rather than going for a "safe" look. Make sure it's something that you like! Our lighting experts would be happy to talk chandeliers with you.